The number of migrants who crossed into Europe via the Mediterranean and the Aegean in 2015 has crossed a one-million milestone a week after land- and sea-based migration passed the mark, the UN Refugee Agency (UNHCR) said Wednesday. MOSCOW (Sputnik) – Over 3,700 people have been declared dead or missing this year, according to UNHCR’s compilation of various sources, including governments, coast guard or navy vessels, survivors and family members. The 1,000,573 people who "take their chances aboard unseaworthy boats and dinghies in a desperate bid to reach Europe" constituted a quadrupling over last year’s total of more than 216,000 migrants. Nearly half of the arrivals came from Syria, while one-fifth arrived from Afghanistan. 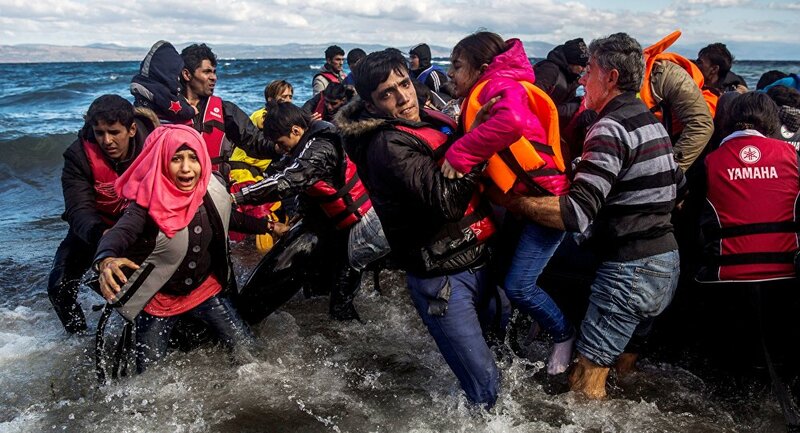 The vast majority, or 844,176 people, traveled from Turkey to Greece across the Aegean Sea. A further 152,700 landed in Italy via Libya, followed by 3,592 in Spain and 105 in Malta. The UNHCR and the International Organization for Migration (IOM) announced in a joint statement the number of migrants who crossed into Europe by both land and sea has reached the one million mark last week.